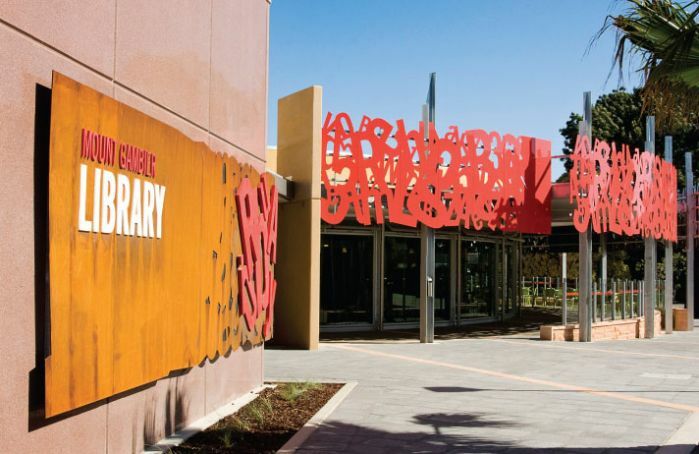 Brown Falconer Architects collaborated with urban infrastructure specialists, Groundplay, in the design of the Mount Gambier Library in South Australia. 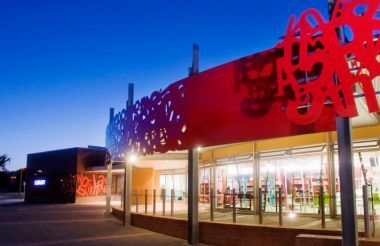 The striking, typography-inspired exterior screen was constructed using Dibond aluminum composite material. The nearly 200-foot project was structurally designed and produced by signage-specialists Iguana Creative. Its owner, Jeff Fulford, is no stranger to working with aluminum composite and knew that its lightweight and malleable properties would make it the ideal material for Groundplay’s envisioned design. Additionally, HVG notes that the adhesion properties of the material make it very receptive to over painting, often producing a cost effective alternative to competitive products. Gregg Mitchell of Groundplay, in an explanation of the design, talks about wanting to reflect communication, information, and language without being overly explicit. The project is quite stunning and a fantastical example of the evolution of public use signage.